So you’ve got your brand up and running and you’re looking to establish an online presence. You know the importance of having a website, social media, email campaigns and all those other digital marketing tactics but have you considered the importance of utilising them to get onto the first page of search engines? You might be the best travel agent or tour operator on this planet with outstanding customer service, inspiring trips and prices that undercut all your competitors, but if you’re not being found by customers – then none of that matters. Building a website is an exciting step in the right direction and you want to get online as soon as possible, but you can’t go charging in to the task like a bull in a china shop. Get it right from the start and you’ll see the best return on investment of your time, money and resources. Whether you’re building and maintaining your own site or you’re getting a designer involved, you’ll need to carefully map out your website in terms of what it will look like but also what will go where, how things are linked, what the purpose of each page is and the actual site functionality. To improve your existing website’s results through search engines, it needs to be search engine friendly, which has two main parts: search engine friendly website design and search engine optimisation. In this article we are going to concentrate on search engine friendly design. Don’t be thrown off by the number of sub-headings and sections that follow in this article. As you’ve probably realised, the world of SEO is extensive and there’s no definitive rules as to what is correct, what will get you to number one and exactly how long it will take to start seeing results. And if you work directly on your company’s website, you’ll know how many different parts there are to work on (both front end and back end) with endless options and continual updates to make, but it’s just a case of getting the foundations in place and then building from there. So we’ve got the basics outlined to help you get started on your journey to the first page of Google. Search engines like Google and Bing don’t see websites and pages in the same way that we do. Throwing together some great photos and catchy headlines won’t get eyes on web pages, or at least not in the quantity that you’ll need them. 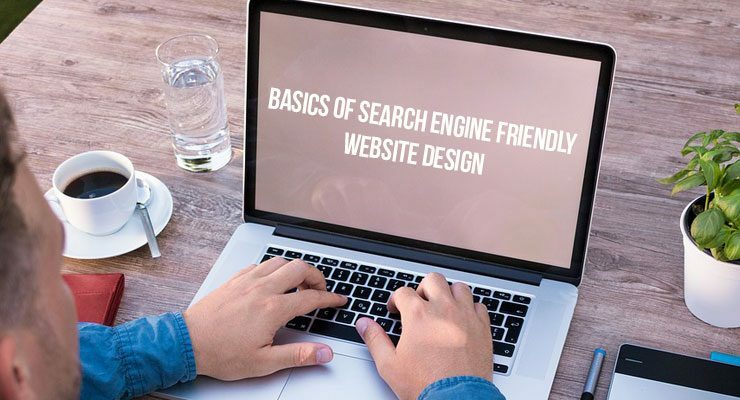 Generally speaking, search engine friendly means having a site that search engines can visit, crawl, include in their index and use data to check if it’s relevant to users. But this doesn’t mean building a website solely to please the search engines, you should still keep your target audience front of mind because visits, time spent on pages and bounce and exit rates will all impact your ranking. This is important for search engine rankings because it will impact how long users stay on your site, how they move between pages, what they click on, etc. Put simply, it’s about the functionality, ease of use and attractiveness. Once users get to your page, it should be immediately clear who you are, what you do, what you’re selling and how to get to the information they want. Your layout should be logical and your menu and links between pages should be well thought through. Don’t create a menu that you hover over and it drops down but then immediately disappears. If you’ve got a page about great trips and tours but it can only be found through one hyperlink on a hard-to-find blog post, then people will move away from your site. In the same way that you want your potential customers to be able to move easily around your site, search engines need clear links or pathways between pages to be able to find all the relevant content so they can list your pages in their massive keyword-based indexes. 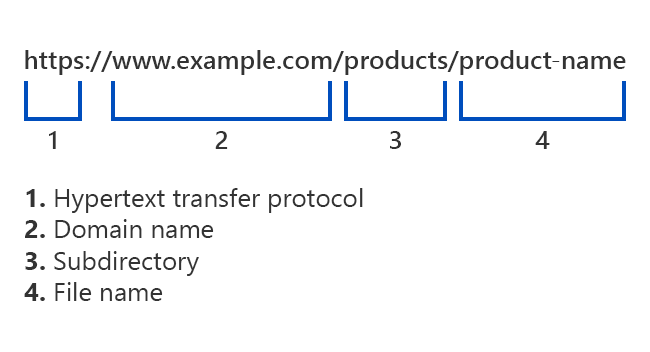 A crawlable link structure is crucial to engines finding all of the pages on a website. You might have great content and perfect keyword targeting but if the crawlers can’t get to the page, these will be redundant. Site navigation needs to be structured so that all pages can be accessed and there are no ‘orphan’ pages created. An orphan page is one further down the pathway of pages, where there is no clear link and it is therefore cut off from being crawled or recognised as even existing. A great way to correctly index your website is to create a sitemap, which is the equivalent of a road map for crawlers and allows them to discover pages they might not otherwise have seen. For new websites or those with a significant amount of new/updated pages, a sitemap means that a search engine can find pages faster, reducing the amount of time taken to index them and speeding up your journey to page one of searches. If you’re continually updating your site, adding child pages or have plans to build it out in the future, this is one for you. Duplicate content is a major problem, in that it’s penalised heavily by search engines but can’t always be avoided – especially by international sites that need local versions but want to offer the same information, deals or blog posts. Canonicalisation happens when two (or more) duplicate versions of a web page appear on different URLs or even on multiple websites. Search engines are unsure which version of this content they should they show to searchers and thus your rankings may fall. One option is combine multiple pages with the potential to rank well into a single page to reduce competition create a stronger overall relevancy and popularity signal. Alternatively, you could use a canonical URL Tag – utilised to reduce instances of duplicate content on a single site and canonicalise to a unique URL. The tag is used within duplicated pages, and it points to the master URL that you are prioritising and want to rank for. Another handy technique for international sites, or even large national companies that need local-specific information, is using something called a ‘hreflang’ tag. The x-default hreflang annotation, a relatively recent introduction from Google, directs users to their local site. Webmasters can specify international landing pages and Google then displays the most relevant page in the search results, boosting your chances of making it onto page one. So you don’t want duplicated or low-quality content, but there’s another thing you need to bear in mind. To perform well in search engine listings, your key content should be in HTML text format on the page. Images, Flash files, videos, i-frames, and other non-text content may be skipped over by crawlers as trying to decipher what they contain is too complex and takes too much time. Having said this, there are numerous methods for making images are other visual display styles count. Providing alt text (more on this later) or video transcripts and good file names will contribute towards showing the relevancy of different elements on the page. It’s a good idea to include some keywords in the description, just don’t keyword stuff or use words that are in no way linked to the image. These keywords should be similar to, or variations on, those used in the bodies of text on your webpages (including blog posts or landing pages). Although content wouldn’t technically qualify as site design, it’s something that you need to keep front of mind as you build out your web pages, because it’s just as important (if not more) than the back end, technical stuff. Make your words count, because no one is going to stick around to read content that waffles on without saying much, and high exit or bounce rates will negatively impact your search engine rankings. Each webpage should have a minimum of 500 words, otherwise it will be deemed too ‘thin’ and crawlers may skip over it as it looks like an empty or unfinished page. For longer content, break it up with subheadings (using H1, H2 and H3s to let crawlers know what you’re talking about) and use visuals. You want to keep pages visually attractive and exciting – particularly if you’re trying to encourage readers to book a trip or tour. Be careful though! Visual-heavy pages take longer to load and people might just give up and leave. This is an issue to be aware of across your on-page content, your image labelling and your meta data. People ‘stuff’ keywords into text, URLs, meta tags, and links in an effort to mislead crawlers into thinking their site exactly matches what web users want, but it actually does more harm than good. Machine learning has allowed search engine crawlers to detect these tactics, so it is better to use chosen keywords naturally and strategically alongside other related words and phrases. For example, rather than using ‘cheap travel’ over and over again, you might use words such as ‘budget’, ‘low-cost’, ‘holiday’, ‘trip’, ‘flights’, ‘travelling’, ‘abroad’, ‘countries’, ‘tours’, etc. Keyword usage and targeting are still a part of the search engines’ ranking algorithms so you’ll need to use them effectively. For your priority keywords, use them in the title tag at least once and as close to the beginning of the title tag as possible. Use once prominently near the top of the page and then multiple times, including variations, in the body copy on the page. 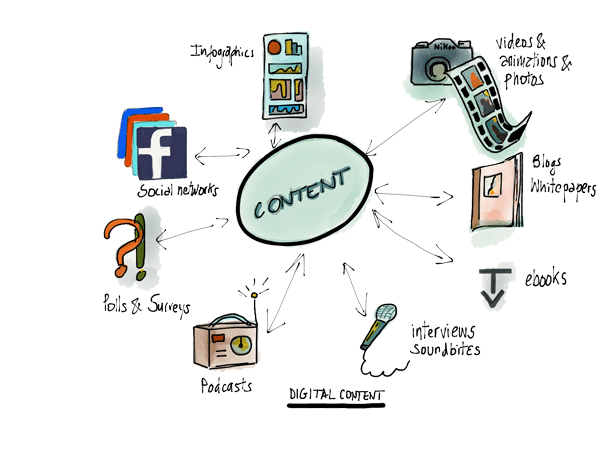 The more content you have, length-wise, the more times you’ll be able to use them. If you’ve got images, try to include your keywords in the alt attribute, definitely in the meta description tag and if possible, even in the URL – we’ll go into more detail on these next – but avoid using keywords in link anchor text pointing to other pages on your site; this is known as Keyword Cannibalization. Programmed in the CMS and not visible on the actual page itself, the title element of a page is meant to be a concise description of a page’s content. It is one of the key factors that play into the success of a page in search engine rankings. Be careful of length: Engines only display the first 75 characters of a title tag in their results, and the rest will be cut off and replaced with dots. This is similar to social media sites, where the link preview will cut off the rest of your title if it’s too long and the reader might decide against clicking through. The only exception is if you have keywords that need to be included, in which case you may choose to go a little longer and hope that the SEO trade-off pays off! Put priority keywords close to the front: This means they will be the first words that both crawlers and web searchers will see so will improve your ranking and your click-through rate. Include branding: Because the title tag is the first thing people will see on search engines and social media, getting your company/brand name in there will give your great exposure and brand awareness. Anyone that is already familiar with your brand will recognise the name and be more likely to click through. However, it’s probably sufficient to include your brand at the end of your title tag seeing as you’re likely to be ranking for it already, so it’s not a priority keyword unless it is for something like your homepage. Try to have an emotional impact: Title tags should be descriptive and exciting, with the aim of getting readers to click on the link. A compelling title will drive people to that page and then hopefully the rest of your site. However, be mindful of being overdramatic or using a title that doesn’t really relate to the page’s content. 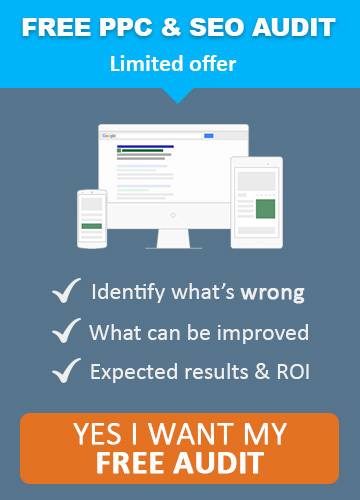 Keep it readable: At the end of the day, your visitors are human, not search engine crawlers. Having a meta title full of keywords and branding doesn’t tell them what they might be clicking through to. You only have their attention for a second or two, so keep it clear, concise and exciting for maximum impact. 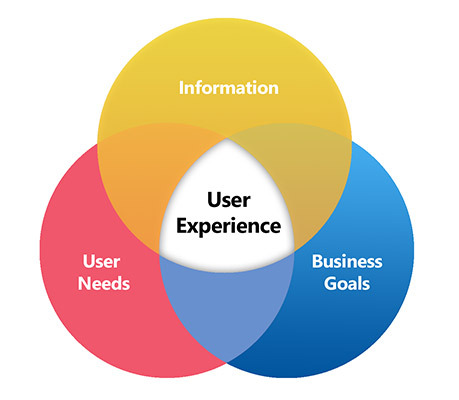 Just remember, SEO is just as much about the entire user experience as optimisation and strategic keyword usage. Alongside your meta title comes a meta description, which provides web users with a short description of a page’s content. Based on recent algorithms and information, search engines do not use the keywords or phrases in meta descriptions for rankings. However, this text snipped displays in all listings when users search a term or phrase online and these 160 characters will pretty much be the make or break for whether they click through onto your page or post. Think of your meta description tag as advertising copy to get readers onto your site. Similar to your title tags, it’s crucial that they are the right length, readable, compelling and use keywords. Although they won’t count towards your ranking, keywords that match what the individual has searched for will be emboldened and therefore the user will know that you’ve got what they want. Where there are no meta descriptions input, search engines will create the search snippet from other elements of the page. Pages that are targeting multiple keywords and topics could use this as a valid tactic, but you will be able to rank more highly if you focus in. The final element that you’ll want to look at is meta tags. Originally intended as a proxy for information about a website’s content, they are just another way of letting crawlers know what that particular page is about but they don’t show up in search engine results (unlike meta titles and descriptions). There’s no real rule about how many you should have but only use ones that you want to rank for and genuinely relate to that page’s content. You may also want to include various spellings of a word that you’re looking to rank for if you know that people may misspell it or if there are variations of it. Most standard CMS and website platforms will just allow you to create a basic set of meta tags. Getting even more technical, Meta Robots tags can be used to control search engine crawler activity on a per-page level. Index/noindex, follow/nofollow, noarchive, etc. are all used in various ways to control how search engines treat or remember a page. If you’re keen to find out more, look out for future deep-dive SEO blogs or speak to your web development team. And there you have it – an overview of the basics of search engine friendly website design. There’s plenty to digest, and obviously plenty more techniques and tactics to take into account, but if you can use these as you get your site up and running, you’ll be on the right track. We’d also recommend using some sort of online tracking tool or platform such as SEO Moz or SEM Rush to monitor your progress in search rankings and use that to make tweaks to your content and meta data. And, of course, get feedback from customers, colleagues and friends on the usability and visual attractiveness of your website because crawlers aren’t the only visitors you need to account for.